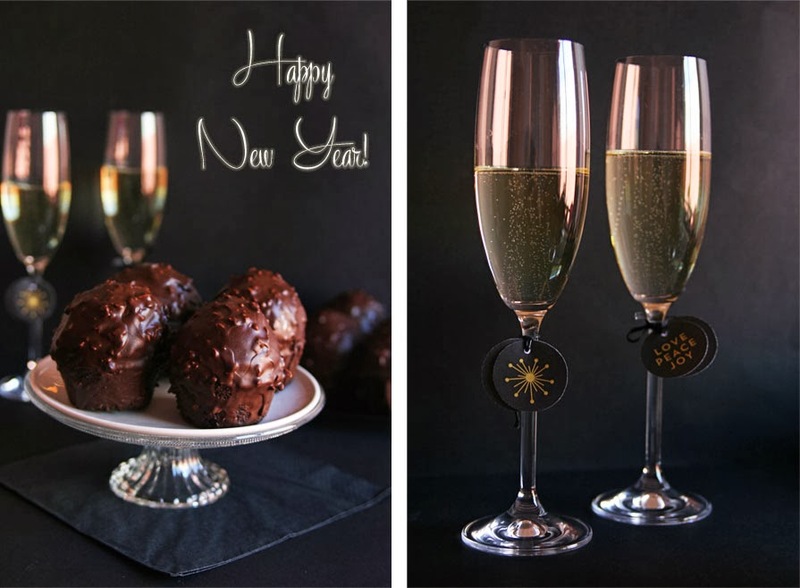 I'm gonna say goodbye to 2013 the best possible way, with a delicious, decadent and luscious vegan chocolate cupcake and a glass of my favorite french champagne. Because sometimes farewells can be really sweet and pleasant. 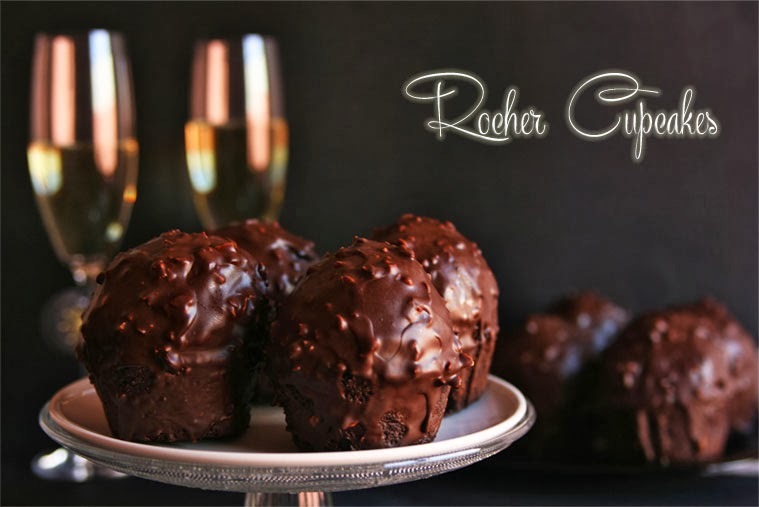 These Rocher cupcakes (inspired by the famous Ferrero Rocher chocolates) are by far one of the most yummy desserts I've tasted this year, I smiled from ear to ear when I covered them with a gianduja (chocolate that contains about 30% hazelnut paste) and saw how cute and utterly tempting they looked...not to mention the great hazelnut/chocolate smell! 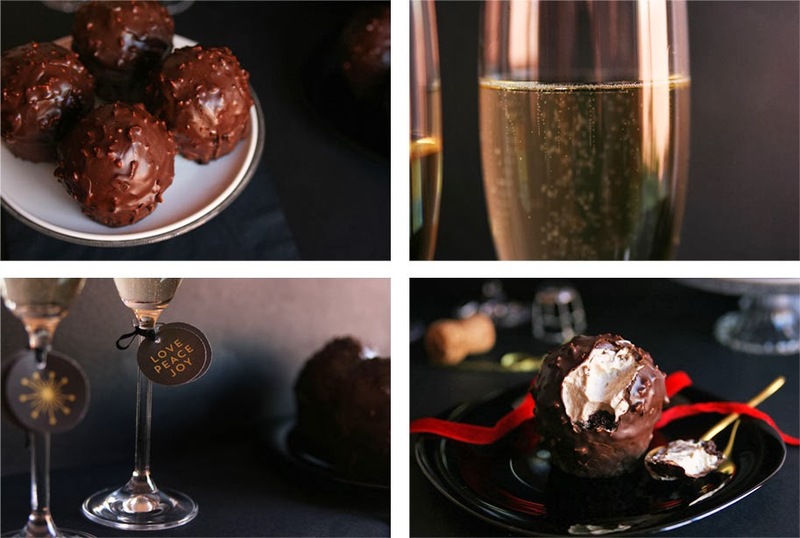 It's pure chocolate bliss, my dearest. Farewell, 2013. Let's forget the bad days and start over. 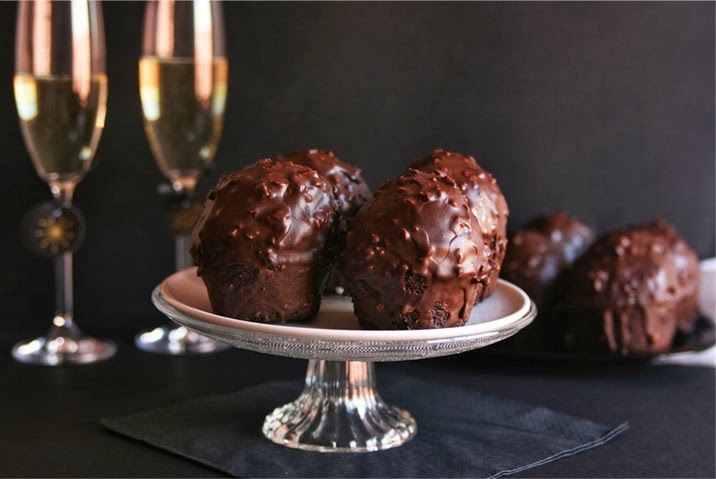 (Recipe adapted from the cookbook 'Cupcakes Veganos' by chef Toni Rodríguez). 230g all-purpose flour (1 1/2 cup plus 1/3 cup). 70g pure cocoa powder (1/2 cup plus 1/3 cup). 200g soy milk (3/4 cup plus 1 tbsp). 130g sunflower oil (1/2 cup plus 1 tbsp). 450g vegan whip (2 cups). 400g hazelnut praline (1 cup). 500g dark chocolate, 70% cocoa (3 cups). 20g sunflower oil (1 1/2 tbsp). 50g finely chopped hazelnuts (1/2 cup). Combine all the dry ingredients (flour, sugar, cocoa powder, baking soda, salt and baking powder) in a large mixing bowl. In a separate bowl beat milk, oil and vanilla extract until combined. Add this mixture to the dry ingredients bowl and mix until everything is combined (remember not to overmix). Grease a cupcake pan with nonstick spray and fill half full with the batter. Bake until a toothpick inserted in the center of each cupcake comes out clean. Set aside and let cupcakes cool completely before we start frosting them. Beat the soy whip until firm and fold in hazelnut praline carefully. 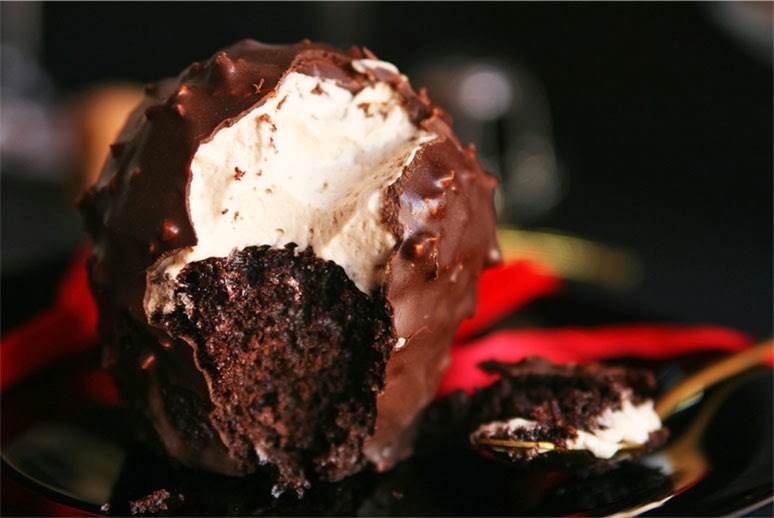 Chill the frosting in the fridge for about 2 hours and then decorate each cupcake using an ice cream scoop. Freeze cupcakes around 5 hours, they need to harden and get very cold so we can cover them with the hot gianduja. If the frosting is not frozen it will melt once we pour hot chocolate all over. Note: I recommend to make all the previous steps the day before and cook the gianduja the day we serve the cupcakes. To make the gianduja: put the chopped chocolate and oil in a medium saucepan/bowl placed in another saucepan filled with water, make sure they fit well to avoid any accident that will ruin the melted chocolate. 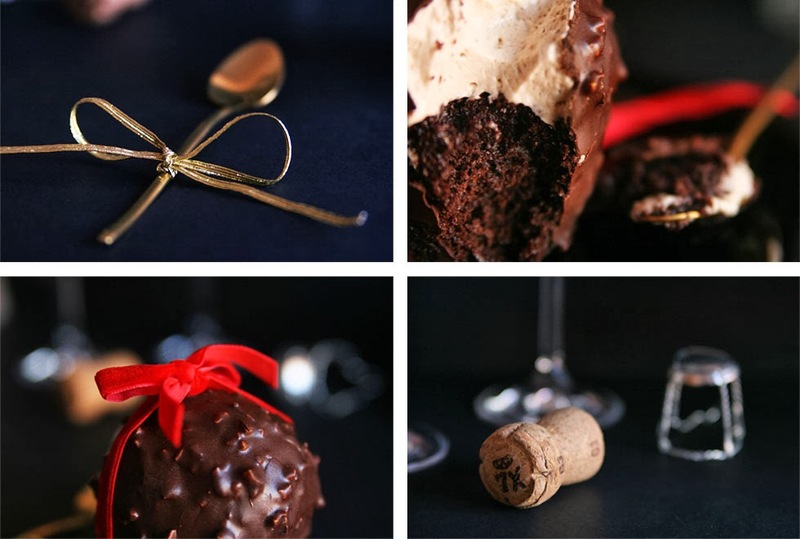 Melt slowly until the chocolate is shiny and smooth. Toast the chopped hazelnuts and add them to the melted chocolated, stirring until well combined. 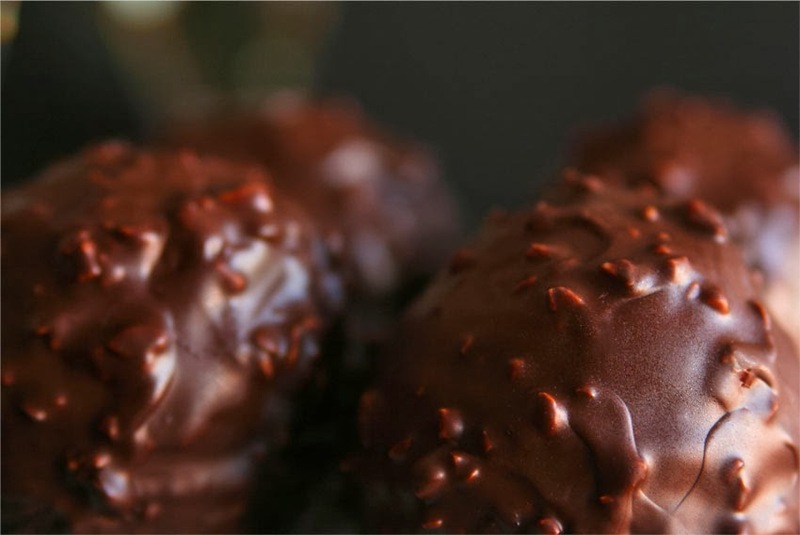 Place cupcakes on a wire rack and cover them with the gianduja. Chocolate will harden quickly. Store them refrigerated and take them out 30 minutes before serving. Jajaja, me ha encantado tu comentario! :-) Espero que los hagas pronto y me digas si te han gustado, estoy segura que sí. These look so good they should be illegal. Loving the chocolate coating and hazelnuts. Must try this! Many thanks Lucy!..and welcome to my blog! 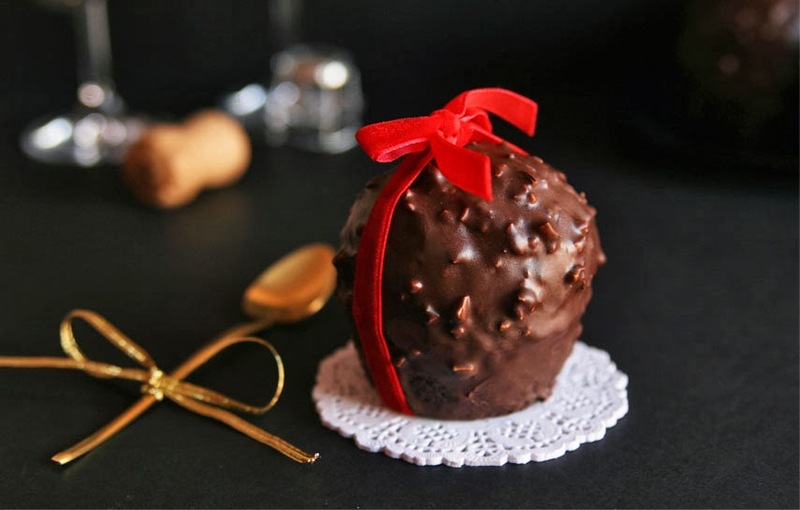 :-) You should definitely try this recipe, they tasted absolutely delicious, the hazelnut praline and the chocolate make a great combination.